If your breath is not always minty fresh, you are certainly not alone. Our Webster Groves MO orthodontist says that bad breath can be caused by several factors, and many people experience this condition. The first step to improving your breath is to determine what is causing the odor. 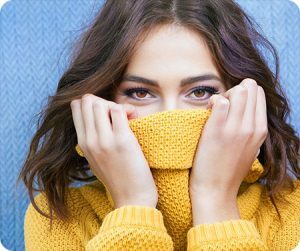 Read on to explore some potential causes of your bad breath and how our 5-star Webster Groves orthodontist recommends improving it! It may be that your oral hygiene routine needs some improvement. Do you brush twice daily? Do you floss regularly? It may seem mundane, but these simple habits prevent bacteria from building up in your mouth. The bacteria cause foul odors in your mouth and can lead to cavities and decay in your teeth. If you neglect regular brushing, food left behind can also rot and emit unpleasant smells. If you suffer from dry mouth it may also be affecting your breath. Saliva works to remove particles, food, and debris from the mouth. As a general cleanser, when saliva decreases, bacteria tends to do the opposite. Dry mouth can be a side effect of some medications, a result of consistent mouth breathing, or underlying health conditions. If you think dry mouth may be the cause of your breath issues, consult with our top-rated orthodontist in Webster Groves MO. You probably know which foods our Webster Groves MO orthodontist is referring to. Foods like onions and garlic have quite the reputation of their lingering odor. Not only do these foods have a generally strong and distinct smell, but these odors seep into the blood stream and into the lungs, and therefore the odors are breathed out for hours after consumption. No matter how much you brush after munching on garlic bread, the smell will likely stay with you for a few hours. Tobacco is very harsh on oral health. It promotes cavities and decay in the mouth and is also another contributing factor to dry mouth. If you’d like to consult with our Webster Groves MO orthodontist about improving your breath, we welcome you to call our Webster Groves office to schedule an appointment! The information provided in this article is not meant to be medical advice and is for educational purposes only. If you would like to learn more about this and other topics related to orthodontics, feel free to contact Borello Orthodontics, with a convenient orthodontic office location near Webster Groves MO , by clicking here or by calling 314.821.2400.